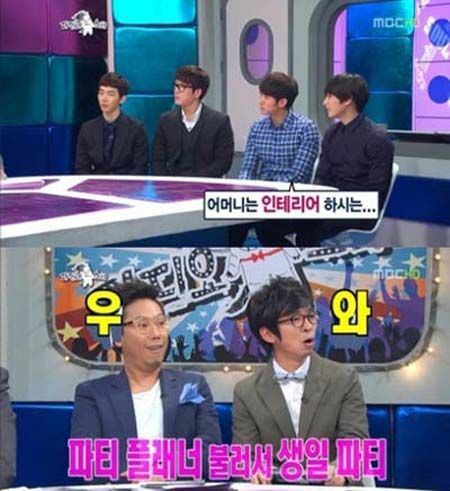 The member of K-pop boy band 2AM, Jo Kwon, Jun Junwoon, Im Seulong and Lee Changmin guest starred in MBC TV talk show Golden Fishery: Radio Star broadcast on March 7th, 2012, displaying their eloquence. 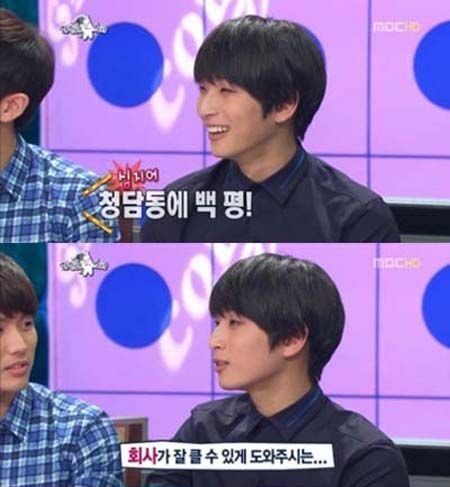 In the show, 2AM member Jung Jinwoon revealed his prominent family background and luxury home. Then, the host asked about his parents’ occupation, Jung Jinwoon said, “My father is the CEO of the company. My mother operates a renovation company,” revealing the prominent family background. In particular, when asked about the address of Jung Jinwoon’s father, he said, “It’s the beside the street between Seolleung Station and Samseong station.” The area is well-known golden zone in South Korea. Neitzens commented after watching the show, “Family background of Jung Jinwoon is pretty good,” “Even employed a planner to organize birthday party, indeed very pampered,” “So envy” and so on.